A 2012 survey conducted by the Japanese Ministry of Economy, Trade and Industry, revealed that women alone or jointly with their husbands, make the decisions on seventy-five percent of the major purchases. 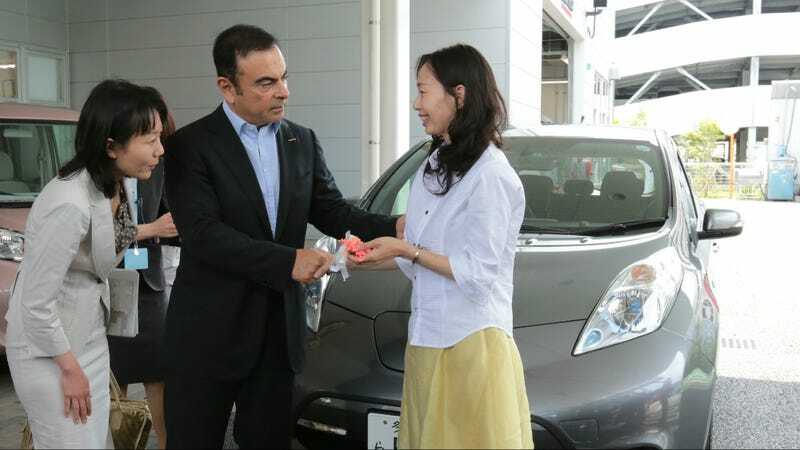 Nissan understands that car buying in Japan is not just a man's game and aims to cater to this powerful demographic. According to Bloomberg, Nissan began experimenting with their "ladies first" line of stores in 2013. These dealers featured female salespeople and models specifically made for females, such as the Roox minicar. But the stores go beyond friendly staff and cars that are appealing to women. Executive Vice President Takao Katagiri said the automaker plans tripling the number of "ladies first" dealers in the coming year by adding 300 locations and 700 stores by 2018. The automaker has also plans on doubling the number of female sales staff from two years ago by 2018. From what our Japanese resident Kat Callahan has told us, the dealership experience in Japan is very different than the United States. While the American market has been trying for some time to capture more women buyers, it has mostly been with marketing and other gimmicks not actual facilities like nursing rooms and child play areas that would make the process a little more comfortable for female buyers. I'm not suggesting that US dealers implement the same model, but it is interesting to see how the cultural differences play out among the two markets.